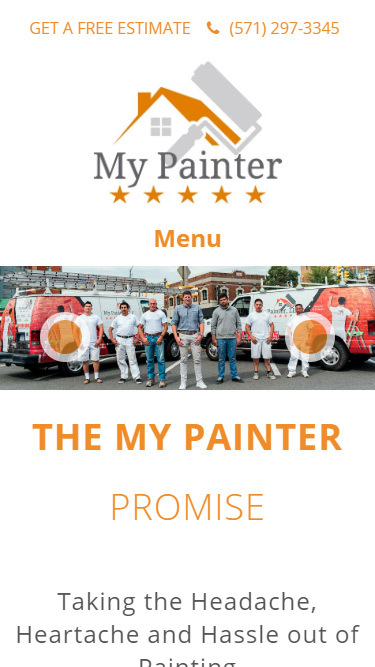 My Painter LLC is an interior and exterior painting service provider for residents in Arlington, VA. 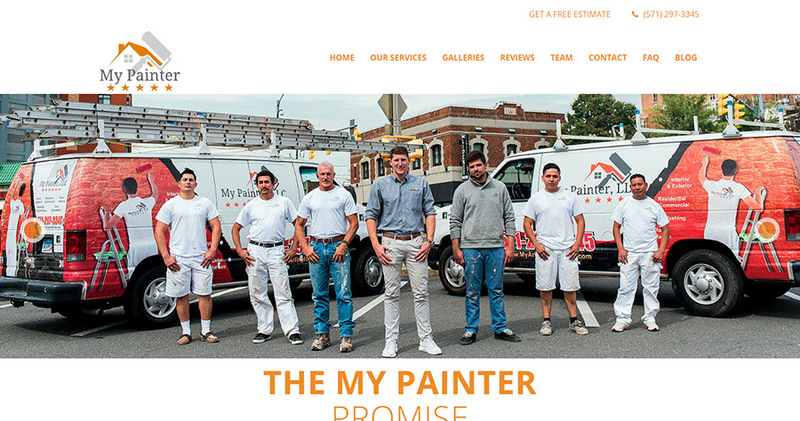 In June of 2017 we took them on as a client and underwent a completely new website design. 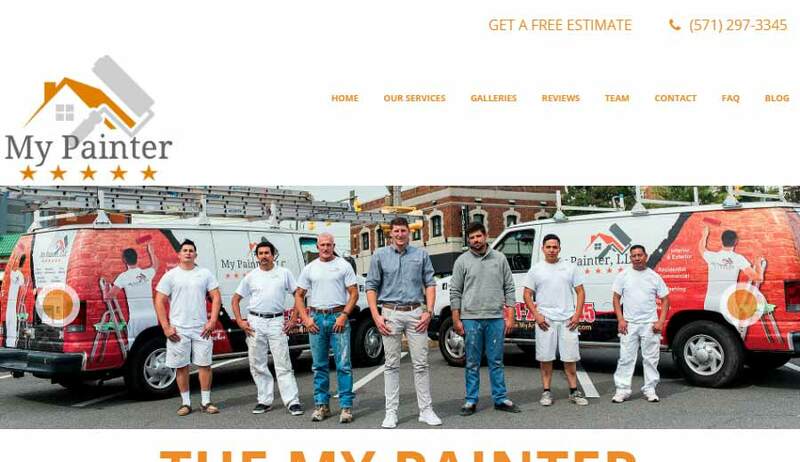 The design of this website is simple and clean yet it includes key features to the design that allows for the user to easily see the work they do and acquire needed information. 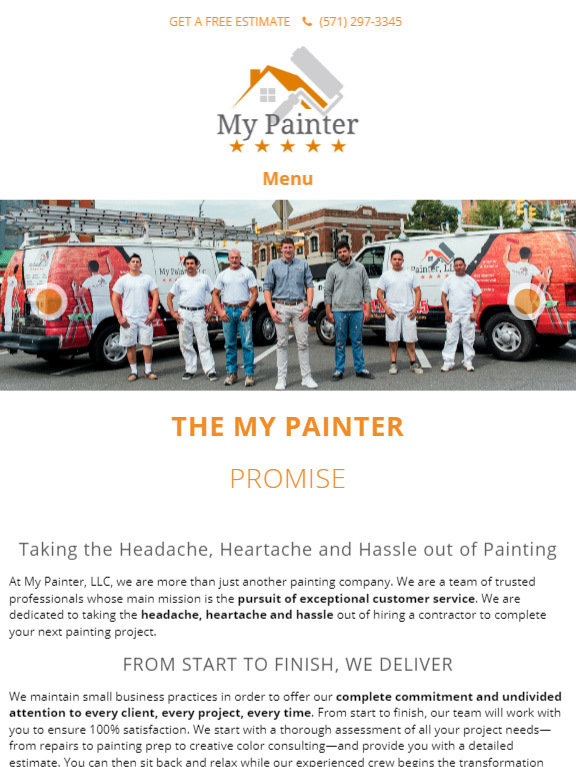 Custom icons were created to match the different services that My Painter LLC provides, giving it a unique touch. While simple and efficient, the website by no means has simplistic coding and CSS behind it.